Don’t you just love the warm weather? I live outside in the summer and do most of my cooking at the grill. It’s so easy to flip it on and start dinner. It also keeps my house nice and cool. These grilled peppers and zucchini are so tasty and easy. I can do my entire meal outside at one time and don’t even have to turn on the stove or oven. 1 pepper- I used half a yellow and half a red. 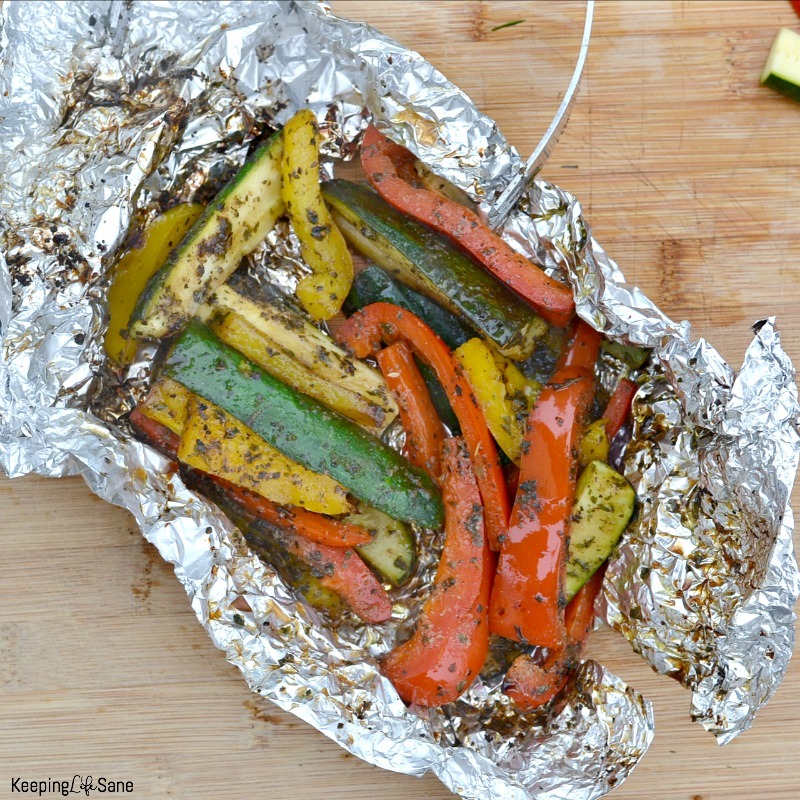 Slice pepper and zucchini into 1/2 inch strips and place on a large piece of foil. Add garlic, basil, parsley, olive oil, and balsamic vinegar. Gather foil up at the top to create a closed pouch. Place on med- high grill for 10-15 minute or until vegetables are tender. You can print it out here. Are you looking for an easy recipe for the grill? You've found it! These grilled peppers and zucchini are the best side dish for summer. 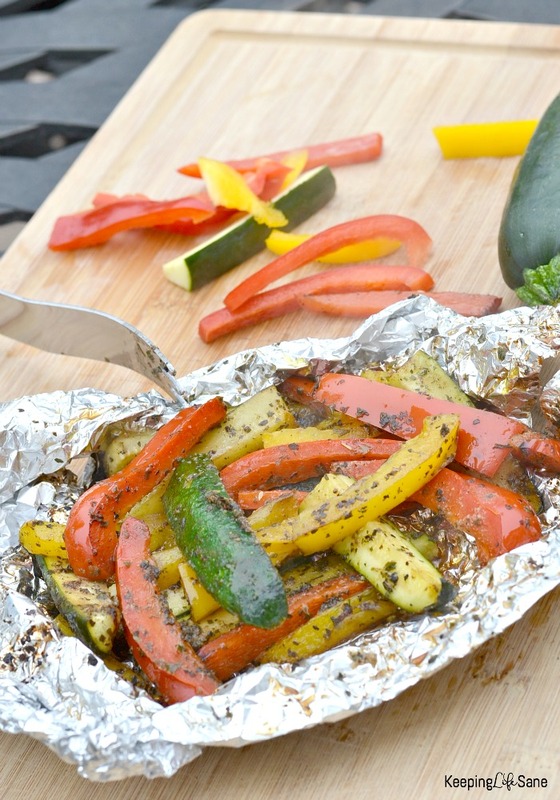 Slice pepper and zucchini into ½ inch strips and place on a large piece of foil. These are so good with a steak or pork chops. Let me know how you like them. 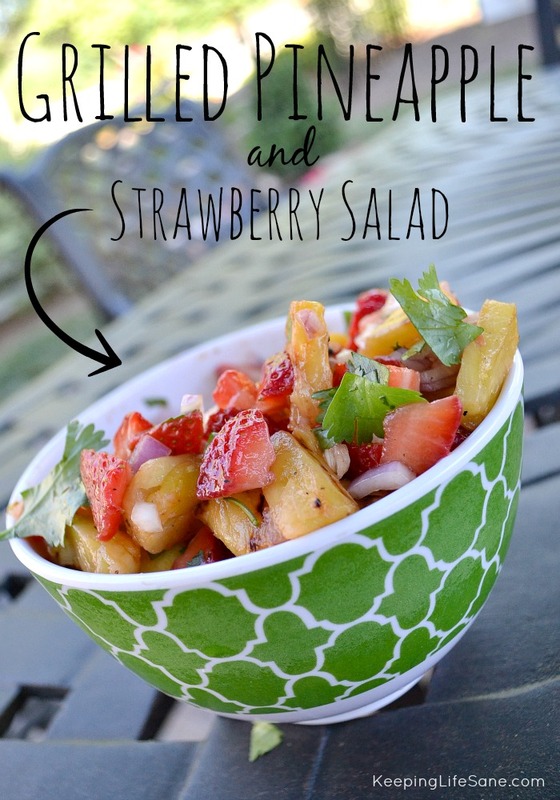 You may also like this grilled recipe too. Previous story What do I put in a fireproof box?